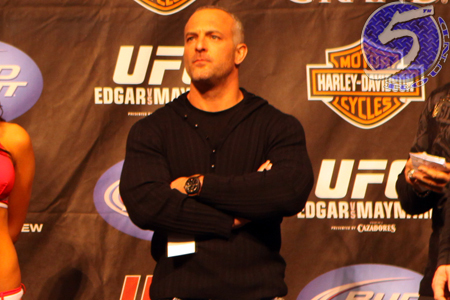 Zuffa, LLC, the parent company of the UFC and Strikeforce, hosted their annual Fighter Summit earlier this week. In addition to helping fighters maximize their social media exposure via Twitter and Facebook, the dangers of performance-enhancing drug abuse was also on the agenda. Going forward, the promotions will follow guidelines drafted by the same law firm that advises the NFL. Lawrence Epstein, the company’s executive VP and General Counsel, explained the written policy is a continuation of existing procedures. “It is important to continue educating our athletes on the dangers of PEDs and other banned substances,” Epstein expressed in a press release. “Additionally, no new UFC or Strikeforce promotional agreement will become effective before the athlete has provided a clean PED test result. UFC medical consultant Dr. Jeff Davidson and Nevada State Athletic Commission executive director Keith Kizer also spoke about testosterone-replacement therapy and the health effects of PEDs during the two-day summit. While the formal policy doesn’t constitute out-of-competition random testing that pundits have been demanding, it does provide a clear outline in regards to an athlete’s responsibility when it comes to drug abuse and Zuffa’s stance on the subject.